At Poss Sleep Apnea and TMJ Solutions, we want to help you live a good life. We are here to help you by treating your sleep apnea or TMJ disorders. With an extensive knowledge of both disorders, we will help you determine the best treatment plan. We are the dentist Franklin TN loves! Located just a short drive away, our Brentwood office uses its advanced technology to help free you from sleepless nights and painful days. Sleep apnea is a growing problem among Americans. It is a condition in which sleepers stop breathing during the night, sometimes several times in an hour. This condition keeps you from getting the rest you need to carry on with your daily activities. We understand how important it is to help you sleep soundly and safely! Although sleep apnea is often treated with a CPAP machine, we can offer you an alternative: sleep apnea appliances. These appliances are worn like mouthguards while you sleep and are customized for your unique needs. If you are interested in treatments for your sleep apnea, call our office to schedule a consultation. TMJ (temporomandibular joint) is the area of your face where your jawbone connects to the rest of your skull. It is an incredibly complex set of joints and muscles that you use for both speaking and eating. 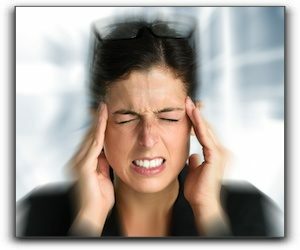 If you are experiencing headaches, ear pain, tinnitus (ringing in your ears), neck/shoulder pain, or difficulty in moving your jaw, you may have TMD (temporomandibular disorder). TMD can be quite painful as well as disruptive to your everyday activities. We have an array of advanced technology to both diagnose and treat your TMD. Let our office in Brentwood, TN help you manage your TMD, so you can get back to living your life! GET RELIEF FROM SLEEP APNEA OR TMD – CALL NASHVILLE DENTIST DR. STEPHEN POSS! Discover why Dr. Stephen Poss is the dentist Franklin, TN loves! If you are having trouble getting a full night’s sleep due to breathing problems or experiencing facial pain, contact our office to find out how we can help you. I have finally found a dentist and an office staff that truly care about me. Every time I go to the office, I actually look forward to my next appointment. I am impressed with how friendly and professional the staff is. They seem interested in my dental needs as well as my life. I would highly recommend this dental office because of the professional and caring staff. Thank you for providing me with an apnea device that's easily transported, cleaned...and it works. We are one of the few dentists in Tennessee to receive his Fellowship with the American Academy of Craniofacial Pain. This advanced educational process allows us to better serve our patients that have TMJ disorders or other head and neck pain. Our Brentwood dental team at Sleep Apnea & TMJ Solutions treat sleep apnea, snoring and TMJ issues for patients all around the Nashville area including from Brentwood, Franklin, Murfreesboro, Smyrna, Columbia, and Spring Hill TN and zip codes 37027 and 37067.